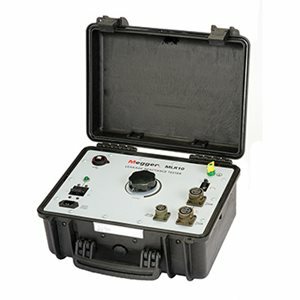 The Megger Leakage Reactance Tester MLR10 is used to measure leakage reactance and other associated parameters in high voltage power transformers. 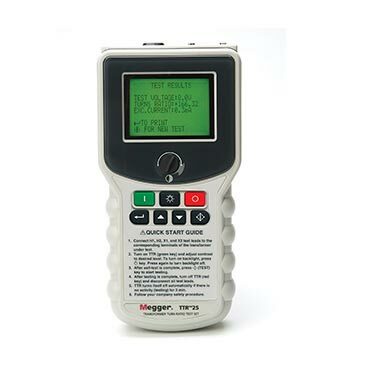 The unit is offered as a stand-alone unit, which requires the use of an external PC, running Megger’s proprietary MLR10 free-of-charge software. The MLR10 Software Update will require at least 3 files below. If you know you have Microsoft .Net 4.0 installed on your PC or you are running Windows 10 the DotNetFx40_Full_setup.zip will not be required. Depending on the OS version 32bit or 64bit only one of the MLR10v3d6 files will be needed. The NIDAQ062F0Core.zip will be required. And the file MLR10_Installation_Guide_1.2.pdf will be required for installation instructions.These instructions are structure to help avoid difficulties after installation. The order of installation and the attachment of equipment to the PC at the right time helps to make a smooth installation. The Windows 7 MLR10 software will install and run correctly on Windows 7, 8, and 10. Instructions to assist in downloading the MLR10 Software.